Being a teacher of Economics I have always pondered, why is it so? I have speculated that how can we say this subject is boring or vague! So a sudden question of self-contemplation arose – whether the problem is with the subject or with the teacher? Well! I will say, though the subject is related to our day to day life, but regrettably students are not exposed to reality and governance. As facilitators, we end up failing in making the subject interesting and engrossing. Though we prepare so well, we have lot of notes, different types of questions and answers, various activities, projects, and all the assistance to help the students; but have the concepts seeped in, that is the greater question. Are we ready to take up the responsibility that even if a single child is writing the answers without comprehending the concept, then certainly that is our greatest delinquency? If we are ready to empathise then it is very simple to introspect and find some ingenious ways to stimulate a thought-provoking teaching-learning process which will smoothly feed the concepts in students’ minds. So, let me share my findings at this juncture. First and foremost point in teaching Economics is ‘Do not teach Economics’, but it sounds weird? Yes, I mean it, do not teach Economics rather discuss Economics and help the students analyse and interpret Economics. Economics is the only subject where positive can be asserted as negative and negative can be contended as positive. It is really a challenging task for the higher secondary teachers to make the concepts in Economics relevant in a conducive way from the baseline. As teachers we have lesson plans and number of periods to consummate every topic, but apart from that we have to interpolate a few things in our class. Imagine that this is the first Economics class which the students are attending in grade XI – before acquainting them with Economics, why can’t we start the class with a story! What kind of story? For some time, Economics teachers should take up the role of the integrated Social Science teachers. We should discuss the ancient Kingdom and the life with which they are already familiar. Start from barter system, then how money became a medium of exchange and what was the reason behind that, discuss about Indus valley civilization, the Mauryan Empire, Kautilya’s Arthashastra which tells us tax collection systems, market regulatory methods, approaches of trading, resource allocation, India during this period in terms of wealth and growth , Mughal Period , Colonisation , trade barriers, agriculture, liberalization and how India emerged as the world’s one of the fastest growing and large economies in 1991. Remember, we are just going to discuss all this information and not going to teach them step by step because students are more or less acquainted with the same at the high school level. Therefore, this is just a recap. Subsequently, students will be able to scrutinize the working of a government. Now we can commence with real-life examples like how much pocket money do they get from their parents and how are they allocating this money, etc. Divide the students into 6 groups depending upon the strength of the class. Name the first group Government, 2nd Resources, 3rd Guns(Commodity 1), 4th Butter (Commodity 2), 5th Technology and 6th Output. Now arrange Guns(students) in one line vertically and Butter(students) in the next line. 2. Now the teacher is the instructor so the teacher should inform the groups that they should follow teacher’s instructions.The game should start slowly and then move at a fast pace. In the next round the teacher will ask both the commodities group to stay out and this round is between government, resources, technology and output. This round is like‘ a jump in and jump out’ game. Again, the teacher will instruct when there is increase in production the output group should move forward and when there is decrease in production the output group should move backwards. Now, the teacher gives a situation to the government – ‘the latest machinery and technology have been introduced’. Now, the government group should ask the technology group to join with resources and say increase the production. When the government says this, the output group will move forward. Next the teacher will declare –‘there is a natural disaster like rain, flood, landslide etc., in the country’.Now, the government will have to say decrease production so output will move backwards. Like this the teacher should give ample situations and the groups should keep on discussing and moving at a fast pace. Finally, in the end they will learn about resources, fuller utilization, underutilization, rightward shift, leftward shift,attainable and unattainable combinations, how to arrive at a solution given the central problems of the economy. The aim of this game is to make even the mediocre learners understand the concept in an easy way where they will not forget the idea for the rest of their lives. A general opinion is that, why should we follow this type of play way method for senior classes! 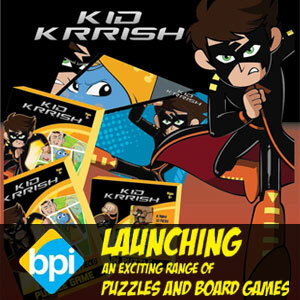 Though they are senior students, let alone students of the age group of 16 to 18, even adults are fond of games. When anything is taught through a game the chances to forget are minimal. Thus, they will find Economics an enthralling subject and after this activity when they go through the chapter definition,features etc., they will be able to connect it easily and they will be able to expound anything appropriate to this concept. Likewise, we can plan games for supply,demand, equilibrium etc., which will make the subject easy and the foundation strong and interesting. The only pre-requisite is advance preparedness of the teacher which is an indispensable part of our profession. In my opinion, a teacher may have numerous degrees and be highly intellectual but if we are not able to deliver the concept properly to an unexceptional student then as a teacher we are failing here. So I am moving forward and finding creative and original ways to increase the understanding and knowledge of my students in my subject. I will be happy to hear from you if you have found some ways to make the Economics class more interesting. I will keep on hunting for ways for better understanding and subject knowledge for the future generation. 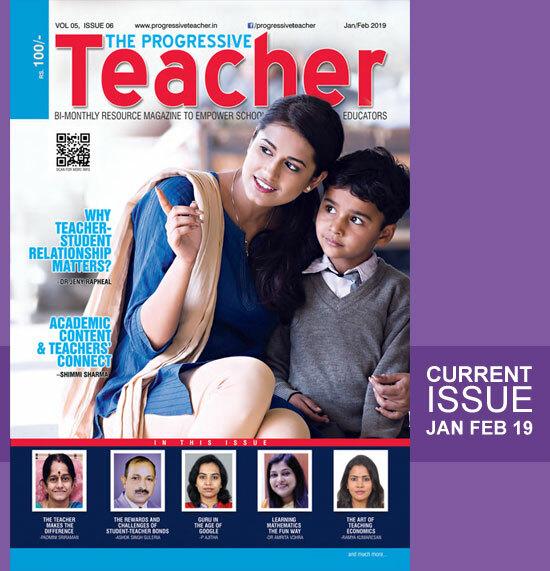 Ramya Kumaresan: I am a teacher learner who believes that in today’s democratic classrooms the teacher is not just a resource person but a facilitator, counselor, a friend, guide and most importantly a learner. I strongly set store on the fact that a teacher can make wonders in students life if she/he is ready to be original. Before commencing a topic I find ways to make it comprehensible. I am much inclined towards my subject (Economics) and when people call it boring I take it as a challenge and catalyze on it to make it fascinating. My experience in the teaching field is less than ten years. Apart from teaching, I like singing, dancing, cooking, reading books and traveling. I am a person who believes in practical way of teaching and learning. So I do not teach in my class rather I discuss and demystify. I will continue in this noble profession with devotion.